This is a nostalgic food which I love to eat when I was a kid. I could not recall how long I haven’t eaten the green bean cake 绿豆糕. 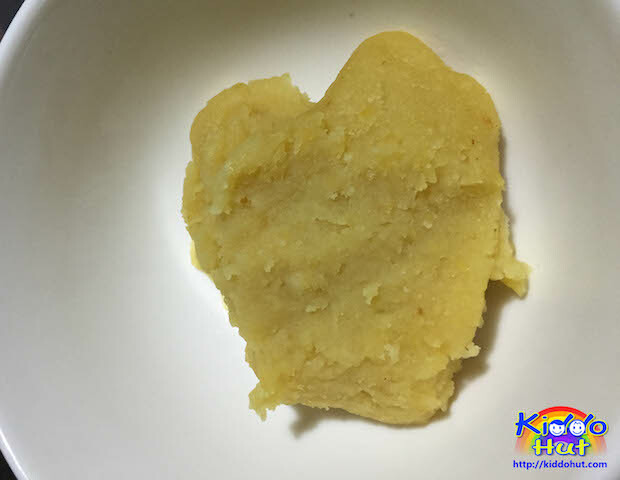 This snack is also known as mung bean cake. In fact, it is not really a cake but it is usually mould in a cake form. It is chilled green bean paste that should taste like a very soft cookie. It is one of the recommended snacks for warm weather. Reason simply, beside it is chilled, green bean is also known to be a cooling food in the Traditional Chinese Medicine (TCM). In some countries like Taiwan, you will find that the green bean cake has the red bean paste as filling. I believe it is very much because red bean is considered “heaty” food which then is used to balance the cooling green bean. Personally, I prefer the green bean cake without any filling. Some uses the whole green beans, soak and peel the skins. Me being too lazy for that, uses the split mung beans. It is still green beans and I just skipped the step of peeling the skins. If you have some mung beans leftover from making Tao Suan (you can refer to my recipe for Tao Suan), use them here. As I do not like too sweet stuff, I didn’t add too much sugar. You can add more sugar to taste. 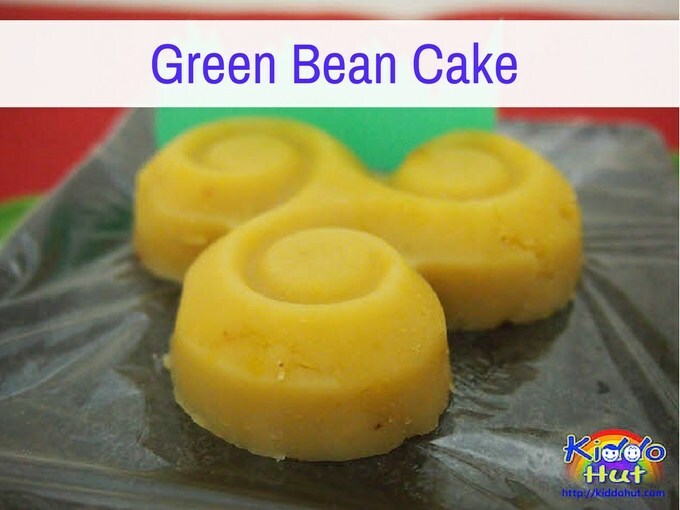 Green bean cake is supposedly a sweet snack. But, my mum has requested for hers to be savoury so I modified the recipe to make some savoury green bean cake for her. This is suitable for diabetics as I used the Stevia sweetener. If you are using Stevia sweetener, you need to use only 50% proportion of sugar i.e. instead of 10g of caster sugar, use 5g of Stevia sweetener. I have specified in the ingredients. Also, I didn’t add honey so that it is suitable for diabetics hence the amount of sugar will be increased. 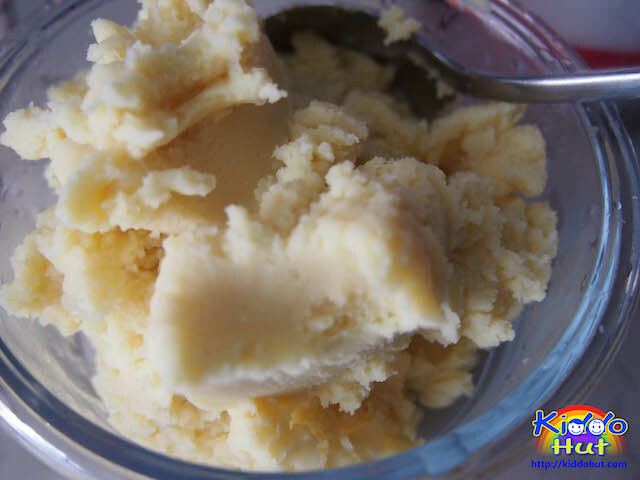 However, if honey is not added, the cake is not as smooth after it is removed from mould. Honey takes the binding role in this snack. You can use maltose instead. Beside honey, oil also gives the cake less cracks. Add a pinch of salt to the coconut milk so that the coconut milk won’t make the cake goes sour too fast. Still, it is not recommended to keep the cake for too long. Probably, you should finish it by the next day. 1. Soak the mung beans overnight. On the next day, rinse the soaked mung beans and drain the water. 2. Steam the mung beans for 30 minutes over medium high heat. 3. 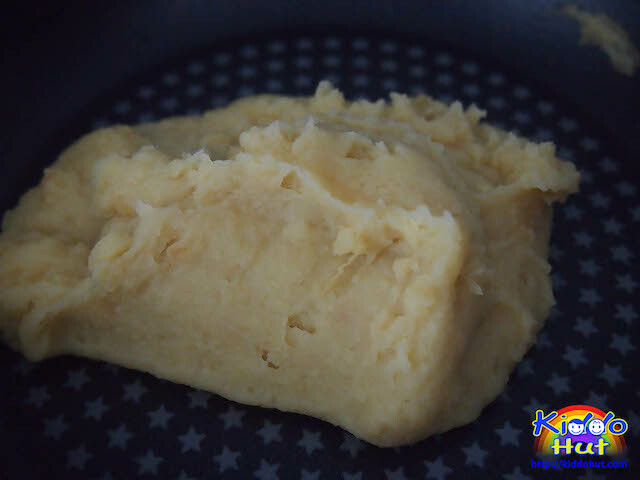 Mash the mung beans using a blender or sieve, depends on texture preference. If it is too dry to blend, add some coconut milk. 5. Stir over low heat until the mixture becomes mung bean paste and the liquid is almost evaporated. Do not cook until it is too dry. 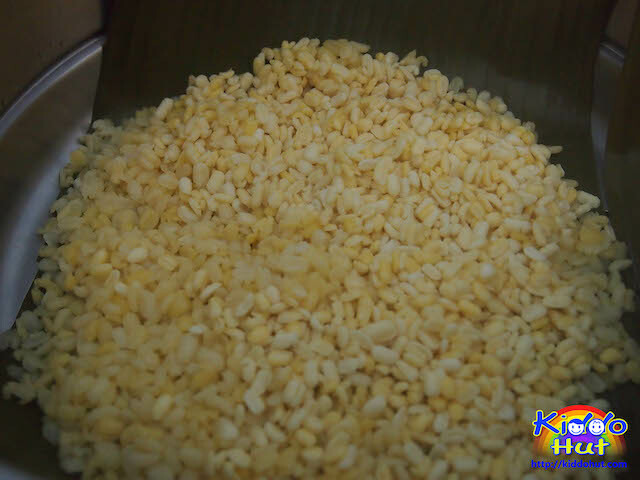 It is ready when the mung bean paste is able to roll into cylinder shape easily in the pan using the stapular. 6. 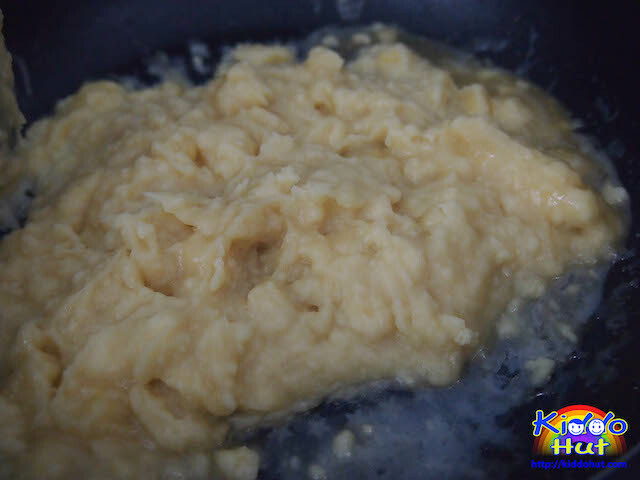 Mould the mung bean paste and chilled. Serve.